It’s here! AQS Week in Des Moines, this will be the American Quilter’s Society’s largest (to date) quilt show–and Des Moines, and the Des Moines Area Quilters Guild have the honor of playing host! We are excited–because our new pattern, Mums for Melissa is being featured in a demo in Booths 1003-1005 by Denise of the Iowa Falls Sewing Machine Co.–you can visit their booth to purchase our pattern. Denise paid us the best compliment, she called to order more patterns and asked, “Why didn’t you tell me how awesome this pattern is?” Seriously, does it get any better than that?! She told us she thought it was a snowflake quilt waiting to happen (We Know!) 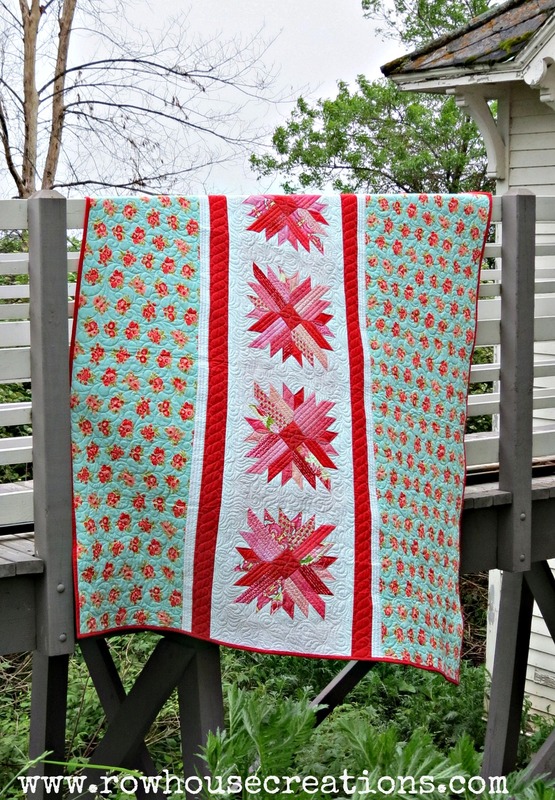 and/or a sunflower quilt waiting to happen (Great idea, Denise!) — so many ideas, so little time. So stop by and see Denise at booth 1003-1005! Tell her Trina & Doris said hello! Living History Farms, a living history museum complex in Urbandale (a Des Moines suburb) will be hosting a vintage quilt show, also October 2-6. It’s always worth a visit! Des Moines is a great City in which to be a quilter! We also happen to be home to Meredith Corporation, publishers of American Patchwork & Quilting, and all of the Better Homes & Gardens Special Interest Publications. 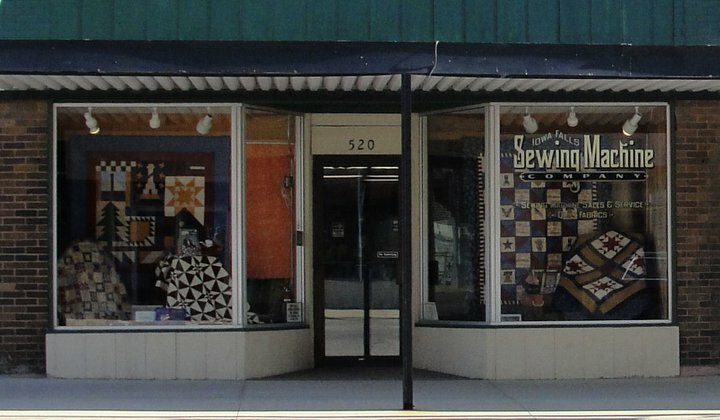 Just outside of Des Moines, in Winterset is the home of the Fons & Porter Love of Quilting publications. We are also home base for a major publisher of quilting books, Landauer Publishing. We have more than one active & thriving quilt guild, a Modern Quilt Guild chapter, numerous quilt retreat opportunities, a handful of great local quilt, fabric & yarn shops, and really friendly people! Like we said, Des Moines is a great place to be a quilter. Are you planning to be in Des Moines this week?